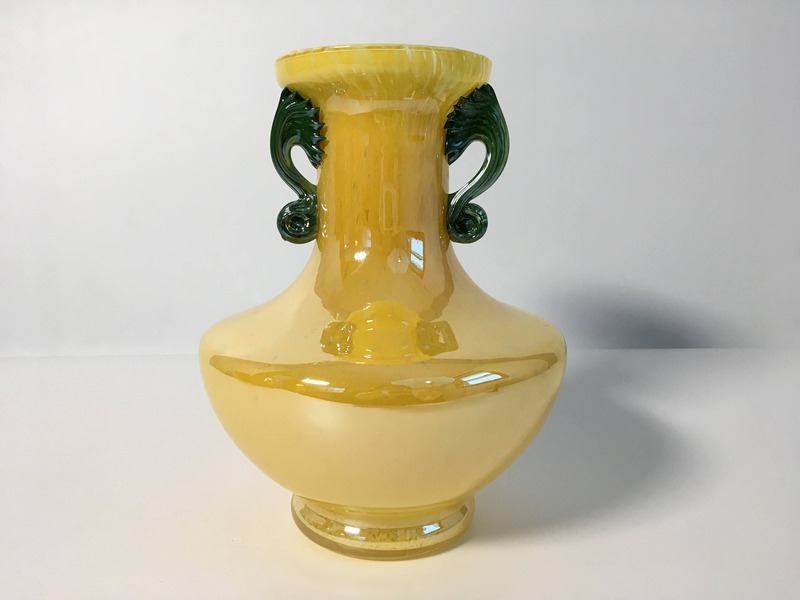 Venetian Murano Art Glass yellow vase with green handles. 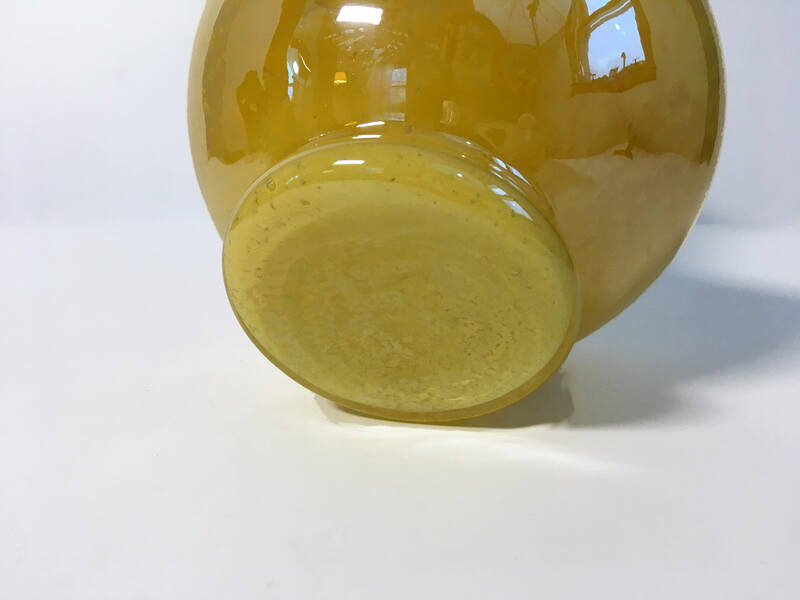 The glass is a lemon yellow color with clear glass variations throughout the piece. 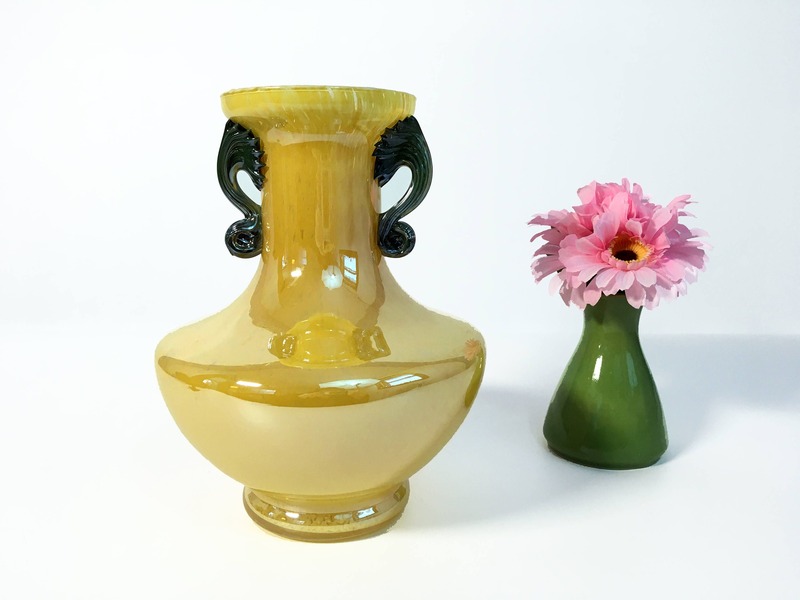 The handles are a solid green and have a nice curved shape with a rolled glass design at the bottom where they attach to the vase. 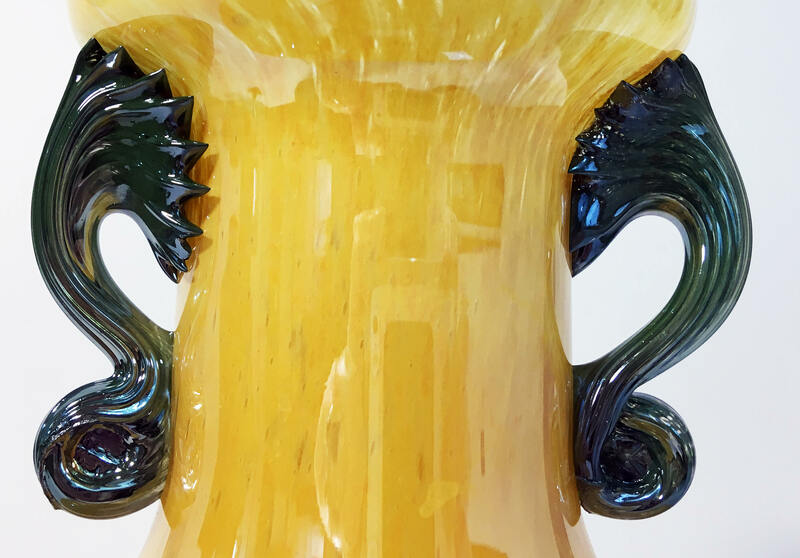 The Murano sticker is still in place and reads "VETRO ESEGUITO SECONDO LA TECHNICA DEI MAESTRI DI MURANO, MADE IN ITALY", which means "GLASS EXECUTED ACCORDING TO THE TECHNICIAN OF THE MASTERS OF MURANO". 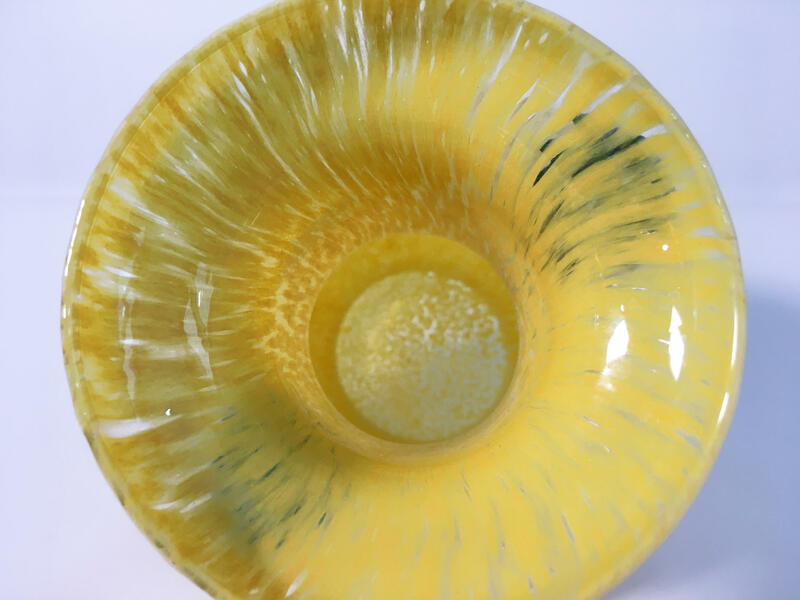 Very striking and typical of mid century Murano art glass. 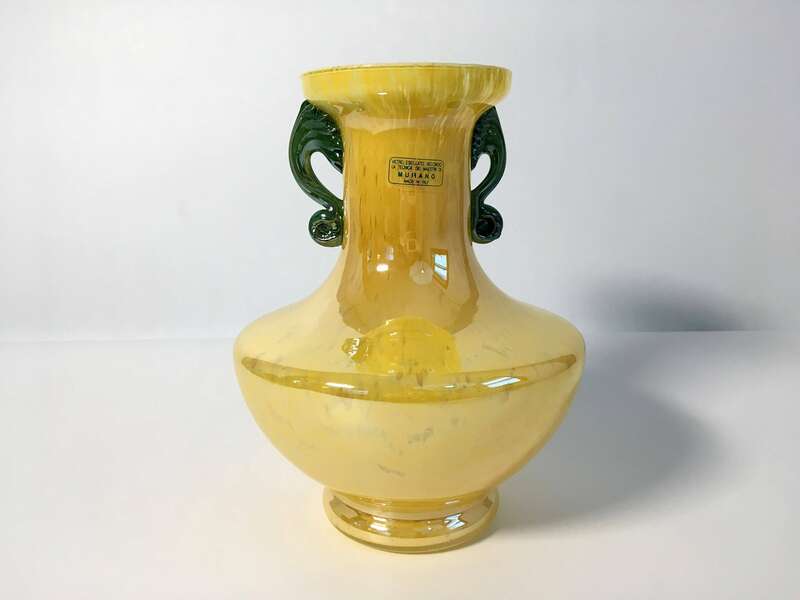 Measures approx.8 1/2" tall and is 6" wide at the widest point of the vase. Weighs 2 lbs. before packaging for shipment. 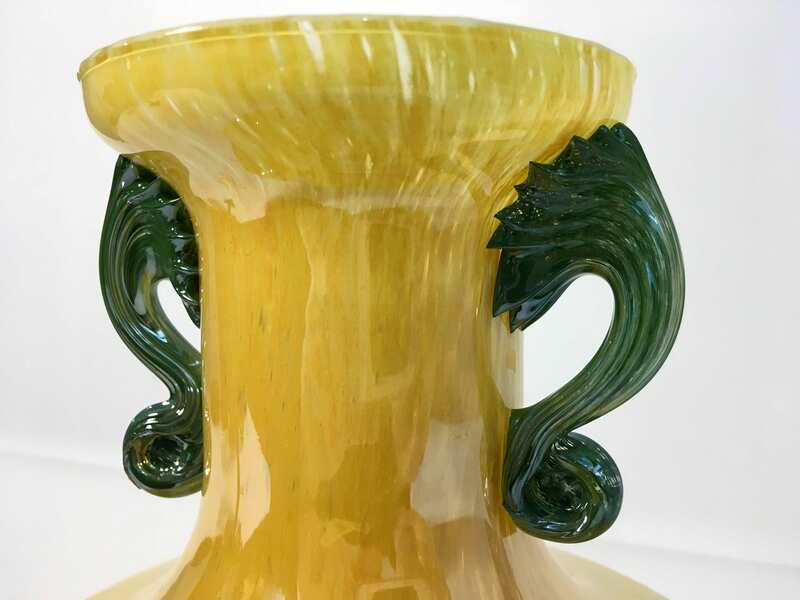 Crafted of fine Murano art glass in Italy. 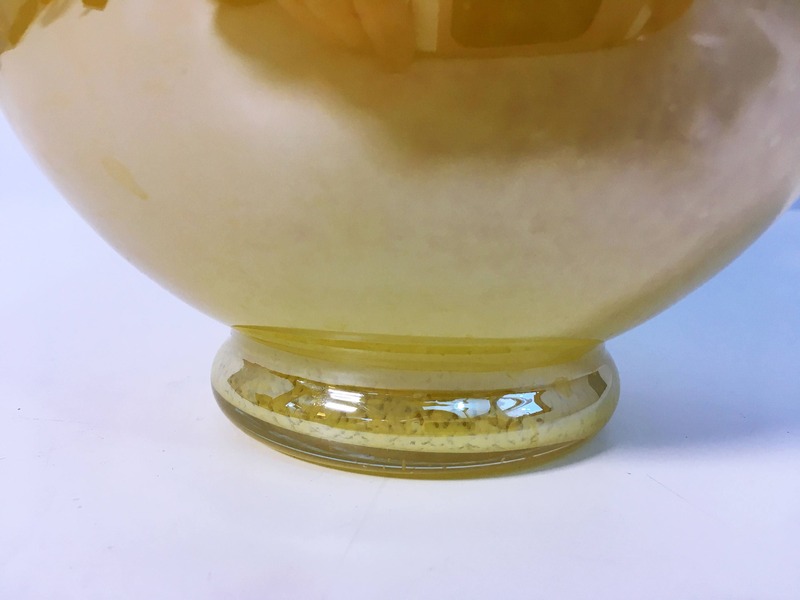 In very nice vintage condition with no chips or cracks. 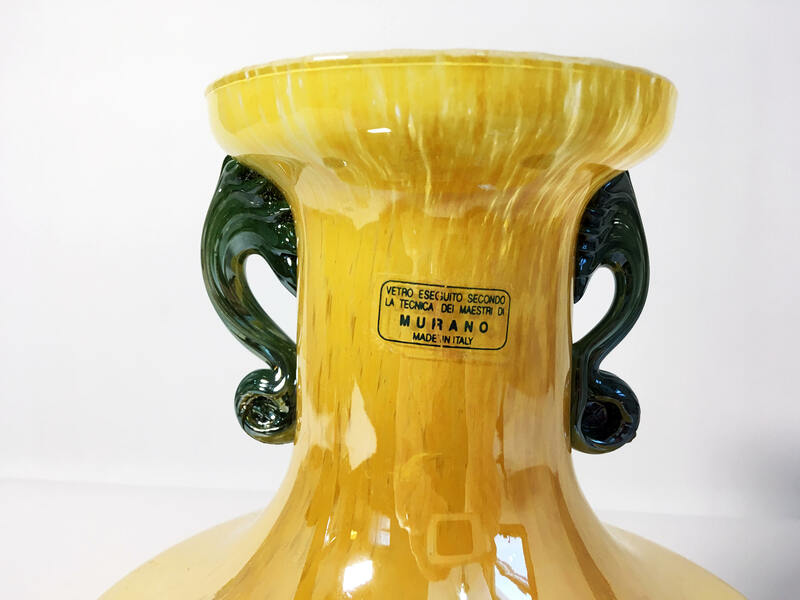 The original sticker from Murano is still intact on the back - see photo.